The cover is made specifically for the iPhone 5/5S, take into account its size and design features. Case is designed in such a way that the lower part can be removed for installation of the smartphone in the cradle. Case-pad made of polyurethane, which protects the rear surface and side faces of the device from accidental drops, scratches and damage. Guggenheim Hard Electro has internal rubber shock absorbers to prevent dents and chips on the device. It also has a screen protector that will protect the display from. Guggenheim Hard Electro in their original packaging will be an excellent gift for any owner of iPhone. The cover is made specifically for the iPhone 5/5S, take into account its size and design features. Case is designed in such a way that the lower part can be removed for installation of the smartphone in the cradle. Case-pad made of polyurethane, which protects the rear surface and side faces of the device from accidental drops, scratches and damage. Guggenheim Hard Electro has internal rubber shock absorbers to prevent dents and chips on the device. It also has a screen protector that will protect the display from. 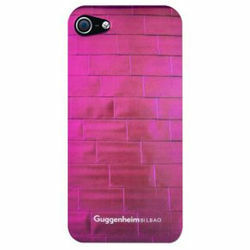 Guggenheim Hard Electro in their original packaging will be an excellent gift for any owner of iPhone.